Everyone is wearing and talking about Tail hem skirts/dresses, weather its on catwalk, Red carpet or High street; from models, celebrities to bloggers these playful new hemlines are buzzing throughout fashion fanatics and is fast becoming a favourite for Spring/Summer. The way it expresses yourself in two ways: a sense of elegance with longer back and revealing flirty with the shorter front. This is one of the must have for my Spring/Summer collection. What is your must have item for this Spring/Summer? 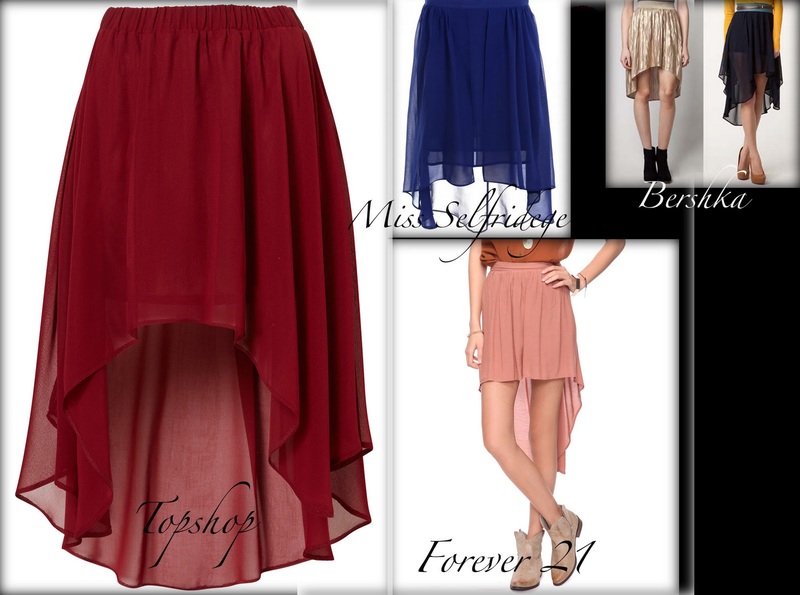 i was just looking at a way to style these skirts last night! !